… w/ negative splits (well, almost)! Final 3K in a couple of ticks over 13 minutes – and finished strong with my final kilometer in 4:08. Def chuffed! 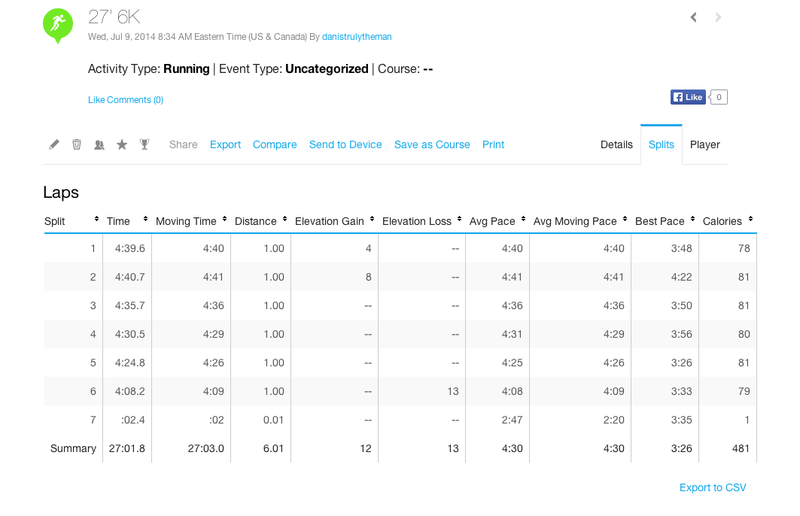 Categories: running | Tags: 6K, Garmin, negative splits, running | Permalink.